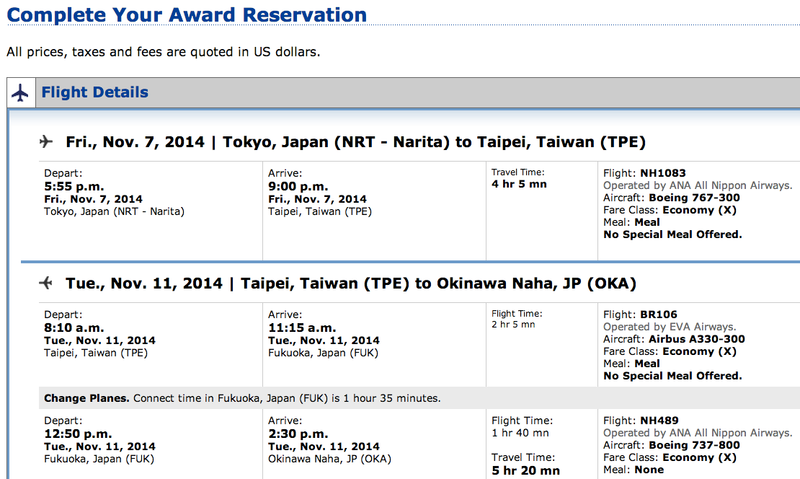 I first detailed our award travel flight from LAX (Los Angeles) to HND (Tokyo, Japan) in a previous post. Our total cost for 2 economy one-way tickets from Los Angeles to Tokyo was only 50,000 American Airlines miles and $10! The next part of our travel involves flying from NRT (Tokyo, Japan) to TPE (Taipei, Taiwan) where we will stay for 5 days. We will then continue onwards to OKA (Okinawa, Japan) and will stay there for 4 to 5 days before returning home. 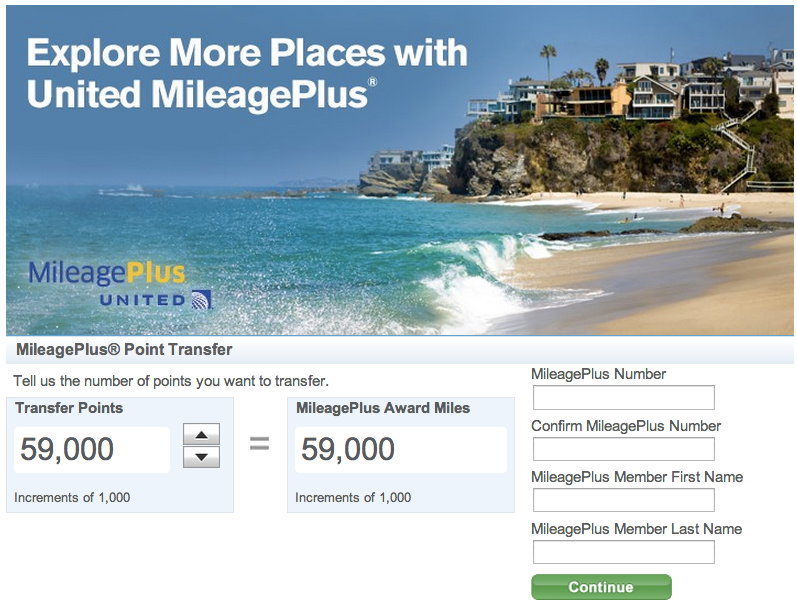 I found that using our United Airlines Mileage Plus miles would be the cheapest award redemption. Once I found out the cost (in miles and fees) of the flights we wanted to take on United.com, I went to ultimaterewards.com to transfer some of our Chase Ultimate Rewards points towards my United Airlines Mileage Plus account. Chase Ultimate Rewards points convert 1:1 directly to United Airlines (and several other airlines including British Airways, Korean Air, Singapore Airlines, Southwest, United, and Virgin Atlantic). The point transfer occurs almost instantly; you just need to logout and then re-login to your United Airlines account. These two flights came out to be 30,000 United Airlines miles and $35.70 per person for a total of 60,000 United Airlines miles and $71.40. I used Kayak.com to find the cheapest possible flight online, which would have cost us $651 total if paying with cash. There is still so much more planning that we need to do for our upcoming trip. I will post more details of our Asia trip as I redeem more points towards free travel!